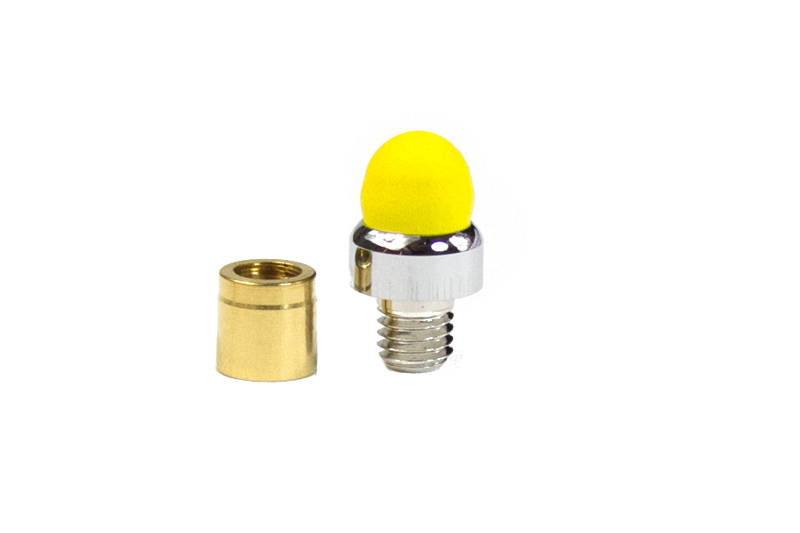 This is a chrome plated replacement threaded yellow stylus tip with coupler. This will fit in any of the 7mm tubes that Bear Tooth Woods sells. The switchable stylus tip can be switched or replaced by unscrewing the tip and inserting a new one. If you purchased a slim or mini keyring stylus kit that has the switchable stylus, the tips can be replaced with ease. 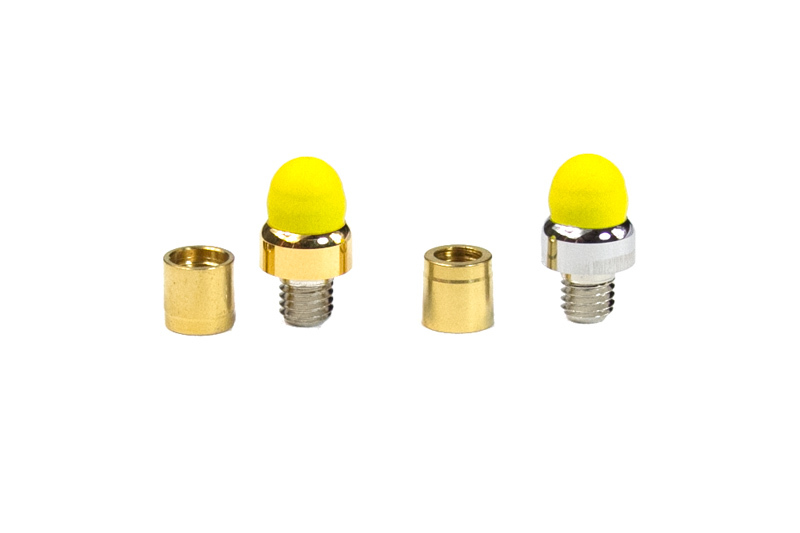 If you have a regular stylus or slim kit, you would need to knock out the finial and replace it with the threaded coupler in this kit. Price is for one tip.